It also includes an FAQ that will answer any questions that may come up. 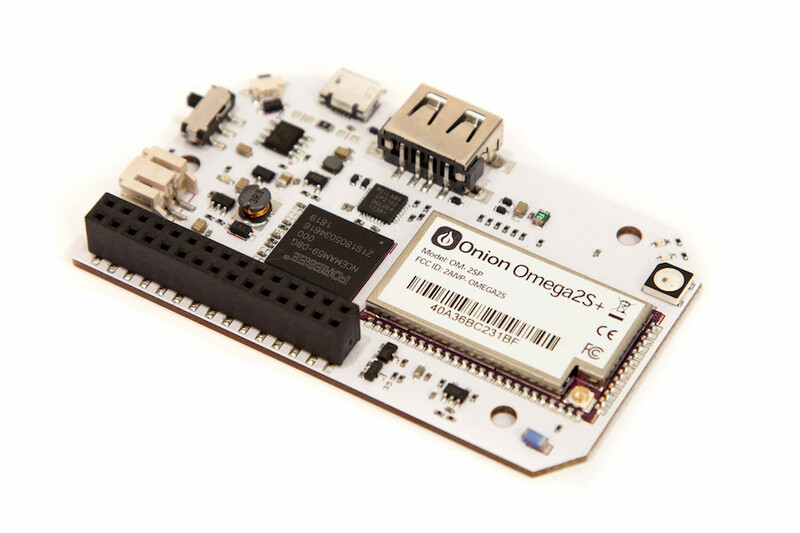 The Omega2 Pro is based around the Omega2S+ module, it is the centerpiece of the Omega2 Pro, providing the CPU, 128MB RAM memory & WiFi radio. 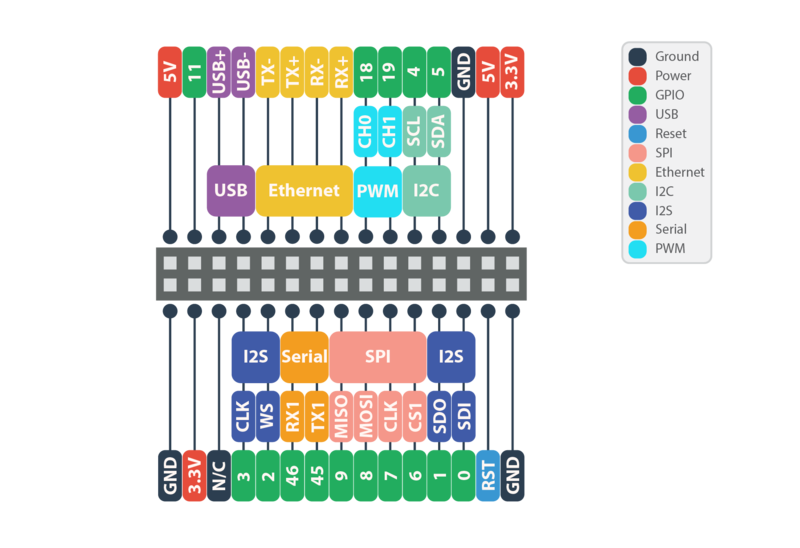 Along with the system status and Wi-Fi status LEDs, there is a full-color LED (WS2812) driven by a hardware pulse width modulation (PWM) controller. Learn more about installing and using Node-Red on the Omega2 Pro by following this guide. 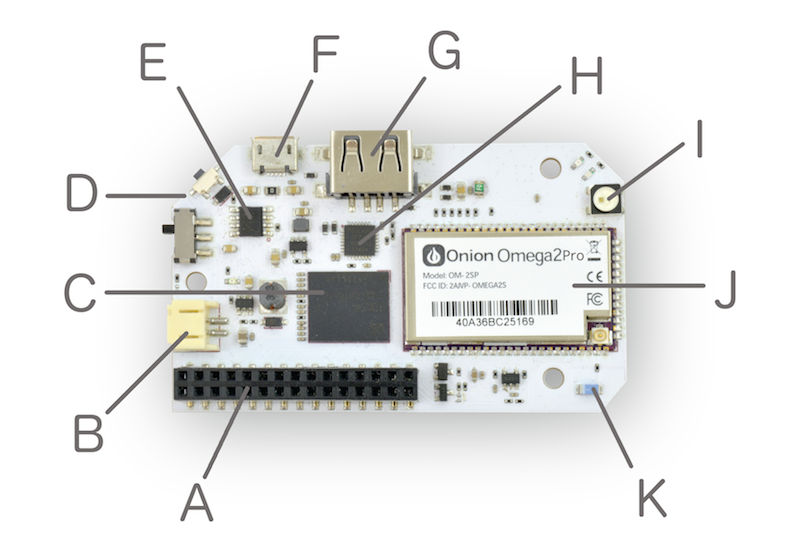 The Omega2 runs the OpenWRT Linux operating system, based on the OpenWRT 18.06 release. OpenWRT is excellent for embedded Linux and networking applications. Included with OpenWRT is the OPKG package manager, that allows easy download and installation of various packages to extend the functionality of your device. The Micro-USB Port is used to supply power to the Dock, which in turn supplies power to the Omega. The Micro-USB Port takes in 5V, and the Dock comes equipped with a voltage regulator to step the voltage down to 3.3V required for the Omega. The USB-to-Serial chip allows for a serial connection between the Omega and a computer using the Micro-USB port. You can connect a Micro-USB to USB cord from the Omega to your computer, open a terminal, and connect to the Omega via a COM port as opposed to SSH. The Power switch will cut power to the Omega, but not the serial chip. This means your computer will still detect a USB serial device, but will not be able to communicate with the Omega. The on-board antenna is a ceramic surface-mount chip antenna. It’s small but packs a punch, the Omega’s WiFi signal is able to travel up to 100m (300ft) line-of-sight outdoors. Connect an external antenna to the Omega’s male surface-mounted U.FL connector. An external antenna can be used to extend the range of WiFi connectivity or provide a very directional signal. When an external antenna is plugged in, the SMT and external antennas will split the transmission power, providing only half of expected gain. In order to use your external antenna at its maximum performance, you will need to modify your Omega by removing the 0 Ohm resistor that is located between the WiFi antenna and U.FL connector so all the power goes to the external U.FL antenna. Follow the procedure outlined here to modify your Omega. DISCLAIMER: Perform any modifications to your device very carefully and at your own risk. This procedure is difficult to undo, and will require the permanent use of an external antenna to have any sort of reasonable WiFi connectivity. If you damage your Omega during this procedure, Onion Corporation is not responsible.